Even though we aren’t wearing our usual tee shirts and shorts here on Sanibel Island because of this cold 40 degree weather, walking the beach warms the soul. “Espeshelly” since cold weather brings shells! Sanibel Lighthouse beach has load of shells washing up about a half a mile west of the Lighthouse. There were lots of live CONCHS… and lots of empty ones too but my fave was this empty sweet striped PEAR WHELK. One more photo to sooth the soul… The evening warmth of shelling at Blind Pass at sunset last night. Who cares how cold it is! I’d be out there shelling too. :) I would rather be cold there than freezing here! You are a wonderful photographer, that photo of the starfish at the top is amazing! Stay warm! Who needs snow flakes when you have sea shells. This just makes me want to book a flight there or start driving immediately! Are there normally still plenty of shells in late March? Just booked our trip to Sanibel for late April into May. Can’t wait! 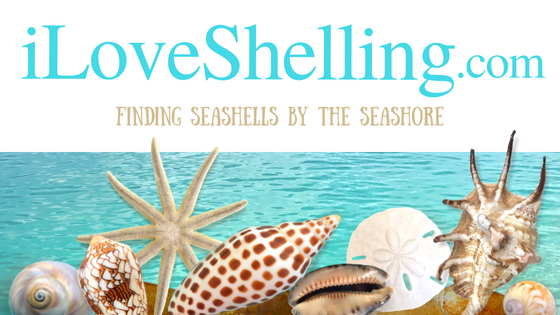 Hoping to meet you on the early May shelling trip! you are killing me Pam! I’m going to have to pull out my shells from the summer to try and tame the shelling urge! Was that super early in the morning? Is the second picture above Island Inn?! Thanks for the cyber shelling. It was -10 here this A.M.
WOW…that pic of Blind Pass? Is it filling in again? Also, as always, loved your video. I know you try and give us a look, but on this one, my dear, you were moving the phone/camera so fast I was getting dizzy! lol Next time try and go a bit slower otherwise everything is blurry and for those of us who are salivating and wanting to jump through the computer to land on the beach to shell with you it’s simply torture! No offense intended, Pam. I would rather be there in 40 degrees than our 20 below zero wind chills and teens any day! Love ya, Shell Sistah! Oh no Susan. That’s the video image then. I’ll try to see the problem and fix it later. Like Roseanna Rosanandanna- it’s always somethin. Loved the video, thanks for sharing!! I keep a small saucer of different shells on a shelf in my kitchen. When I get the itch, I pull it out a go through the shells. Soothes my soul. I kept my finger on the pause so I could stop it when I wanted to check out a scene. I check your blog DAILY! Thank you so much for sharing your pics and especially videos! Cant wait to be on Sanibel to experience its AWESOMENESS for myself! March 23rd! That video was sooooooooo awesome!! I would’ve gone crazy looking at every shell in that little stretch of beach! It was 0 degrees here today without including the wind chill, so 50 degrees sounds good to me! Pam, While watching your video footage I was squealing inside!!!! How was it that you didn’t just park yourself down and start sifting through all those glorious shells!?!? I would’ve been so excited to do that! Oh my, oh my, oh my!!!!!! Thank you for inspiring all of us!! Just reading you shelling blogs are good for the soul!! All those dead Fighting Conchs! It makes me wonder if that wipes out a whole colony and why. All killed by pollution (oil)? I hop it is natural and the waves just stirred up a lot at once, but it is worrisome, too. Oh Pam, loved the video. Would like to have been there when the tide started coming in and exposed more of the shells. Can’t stop thinking about what was underneath…. Totally agree with you that the beach warms the soul. There’s nothing like it. A viewing hint – I was able to adjust the HD settings by clicking on the “wheel” in the right corner of the video box to get an even higher resolution. (My computer is an iMac.) Beautiful! Thanks Pam! Would you please share what location were you at and what time of day? Thank you very much! Hello Pam. So what is the best time of the year for shelling?